Believe me, I get it. And, I’ve heard it plenty of times from coaches that I’ve met at coaching conferences. When I’ve introduced the notion that making winning the goal actually interferes with a team’s best interests of doing that very thing—a few eyebrows raise. It all comes down to expectations. In particular, the one’s that we set for our athletes and teams. The problem with winning always being the goal is that you draw a line in the sand that indicates “good enough.” And, that is where we get ourselves into trouble. Understandably, the notion of setting goals beyond winning sounds akin to the same new age movement that prescribed trophies for every participant. And, we all know how that played out. However, the difference here being, this is a strategy through and through—in fact THE most competitive strategy for winning that I’ve ever used, bar none. I like to think of winning as an intention, and an obvious one at that. I no longer see winning as a goal. Besides, if we’re going to be completely honest, telling your team to win is redundant. Especially amongst elite or professional athletes. You’re keeping score—of course you’re trying to win! When a coach tells their athletes to “get out there and win,” they’ve set the stage for them to underperform—guaranteed. They may still win, but chances are they won’t have reached their potential as individuals or as a collective team. But, why? The players hadn’t achieved their goal yet—there was still another 20 minutes before winning was a done-deal. Clearly the players understood that taking their foot off the gas would compromise their chances of achieving their goal and winning the game—true? 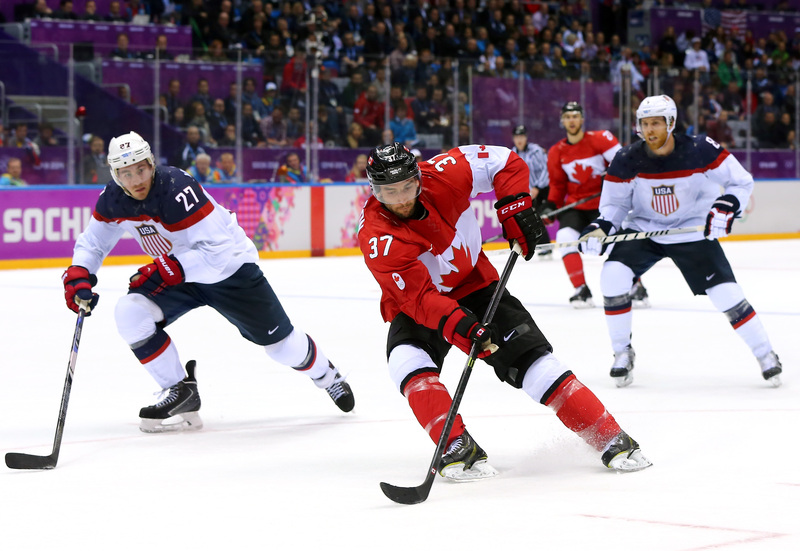 For that losing team, the athletes may have felt that the level of play that they had produced in the first 40 minutes of the hockey game had resulted in a lead that brought them close to achieving their goal. Therefore, having almost achieved their goal of winning, on some level they lost their purpose and consequently their drive. Yup, even professional athletes who get paid to try their hardest all of the time have moments where they back-off and stop trying. Like you and me, they’re human. Which means, sometimes, they have self-defeating conversations that run through their minds and result in them underperforming. Here’s where coaching can make all of the difference. And, this is why when I work with teams or individuals around achieving a particular outcome, we never include that outcome as part of the goal. Instead, we create goals beyond the finish line. In the same way you often hear track coaches instruct their athletes to “run through the line” in order to achieve their best result. Those instructions help runners resist the temptation to let up just prior to the race being over. The same is true of anyone trying to achieve a goal. Create a situation where individuals are encouraged to continue striving beyond the result they’re looking for. Here’s where many coaches struggle. Buying into the notion that winning is a limiting goal flies in the face of what we’ve all been raised to believe—keep your eye on the prize. But, what if that prize keeps you from ever realizing your potential? And, therefore, naturally begs the question—what if you’re capable of being better than what winning requires? With winning as your goal you have to be good enough—just—to beat your competition. What if good enough is only a fraction of what you could do without imposed limitations? And, besides, where’s the fun in good enough? Ahhh—now we’re talking about something that ignites a deeper desire; discovering our potential because it’s fun. As coaches, when we can make discovering an athletes potential the goal, we erase the line in the sand thereby allowing athletes to strive beyond any measurements that might have otherwise existed as mental barriers in their minds. Setting goals beyond winning allows coaches the opportunity to move coaching into a realm of work beyond the win/loss columns. Yes, it’s a strategy that will help you find a way to win more often—I appreciate that. More importantly, however, it’s a chance to change the lives of the athletes that you’re fortunate enough to be working with. When I first started coaching, winning was the goal—every time. However, after winning a national championship one year and returning the next year to defend it—my thoughts centered around “not losing.” Clearly, less than an ideal mindset when it comes to high performance. Although we did manage to win, it was not an enjoyable experience for me. Therefore, I made up my mind that in order to make coaching more fun, I needed a better goal—a bigger goal. So I chose transforming the lives of my athletes as my new goal moving forward. And, I used rowing and all that a committed high performance rower needs to be to facilitate that new goal. The bonus came as multiple national championships over the following years—the byproduct of my bigger goal. In this case, one could argue that the circumstances that result in transforming the lives of young athletes are similar, if not identical, with those that produce a winning team. I guess the question then becomes, which comes first. Obviously, I would suggest it’s the transformation. Granted, I understood that my job each year was to try my best to win. But, I saw trying to win as something that interfered not only with what the school wanted, but also with what I wanted—to change the lives of those athletes. Therefore, instead, I did my best to create a culture where athletes were inspired to reach beyond their potential every day—including race day. Regardless of whether or not you’re a high performance athlete, coach, business owner or someone setting some personal life goals, when we make our goals bigger than the result we’re looking for, it lends us the opportunity to more fully engage with the process of what achieving those goals require. Furthermore, without a carrot dangling in front of our nose, we turn on that all important intrinsic motivation which in the end proves a more powerful and sustainable motivator. The end results are often something greater than what we imagined. If that something is winning, terrific. If it’s something beyond winning, even better. Jason Dorland is a High-Perfomance Coach who believes the most undervalued and underutilized components of reaching our goals are the mental and emotional areas of our lives. With your commitment, Jason can help you make a positive difference in how you approach your life’s dreams and goals. Guaranteed! To find out how—contact Jason today!